Bits of Sweetness: SECOND Lil' Box O' Sunshine Swap! SECOND Lil' Box O' Sunshine Swap! It's baaack! The swap that we always have a lot of fun with! Submissions are open through November 4th (this Sunday!). You'll be sent a matchup by November 6th. 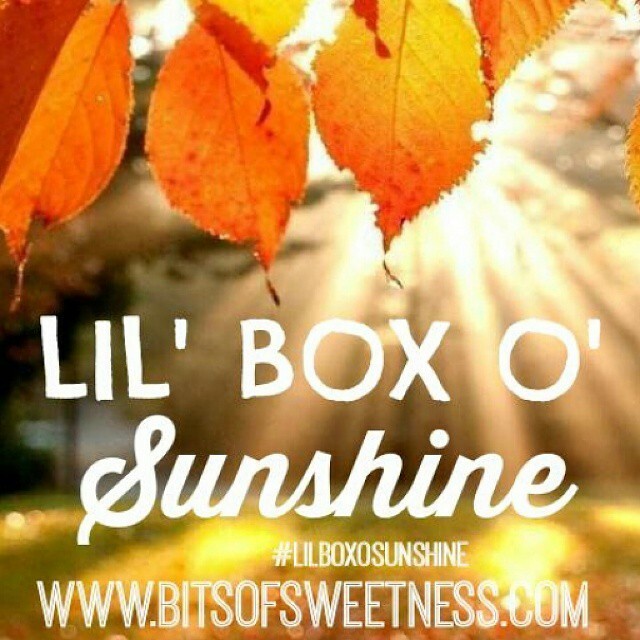 Post on Instagram by December 2 using the hashtag #lilboxosunshine and follow along on the fun! You're welcome to say hi to your swap partner before, or you can wait until the reveal November 30th! It's always tons of fun and we make new friends along the way! This was one of the boxes last year! This swap is open to anyone in the US! Looking forward to sending a box to one of you!